Brigitte Bardot—a global icon of French cinema—has used her fame to give a voice to those who cannot speak for themselves. Leaving the spotlight of stardom, she has dedicated her time and fortune to promoting the welfare of animals, both domestic and wild, around the world. 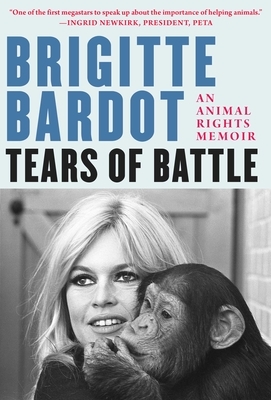 Over the past forty years, Bardot has evolved from an international film icon of the glamorous sixties to an icon of that of a crusader for animal rights, forming her own foundation and meeting with leaders from around the world and lobbying for legislation to protect animals. In this poignant memoir, she uncovers the struggles of her decades-long battle—detailing the too few victories and the heartbreaking defeats—and revealing herself as never before seen through her reflections about nature, herself as a superstar, and the passion that has driven her away from glamour of her previous fame toward the humble calling of serving others. Brigitte Bardot starred in her fist role in Crazy for Love in 1952, and gained international recognition for her role in the 1957 film And God Created Woman. Retiring from film at the age of thirty-nine in 1973, she has since dedicated her life to campaigning for the protection of animals. She currently lives in France. Grace McQuillan has translated the works of Andreï Makine, Stéphane Allix, and has received a French Voices Award for her translation of Le Crieur de Nuit by Nelly Alard. Her work has also appeared in The Brooklyn Rail and PBS NewsHour. Originally from New Jersey, she now lives in Nevis.